Philosophy – Holly Creek is committed to serving people, not profits. We fully believe a warm and caring atmosphere fosters meaningful friendships and retirement experiences. We help you live life to the fullest by providing you with the resources you need to nurture your mind, body and spirit. Being locally owned and operated gives us the flexibility to customize your entire living experience – from the home you live in, to the food you eat, to the activities you enjoy to the care you need – so that you live your life on your terms and schedule, not ours. Our Mission – As a neighborhood of Christian Living Communities, we daily live out our mission to enrich the quality and dignity of life for older adults through services and care that reflect Christian love, respect, and compassion toward each individual. 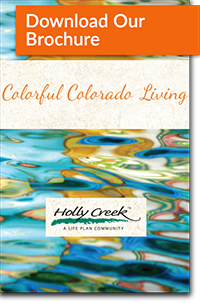 Leadership – Holly Creek’s reputation for quality and leadership is based on the exceptional leadership of our parent company, Christian Living Communities, which has operated in Denver since 1972. 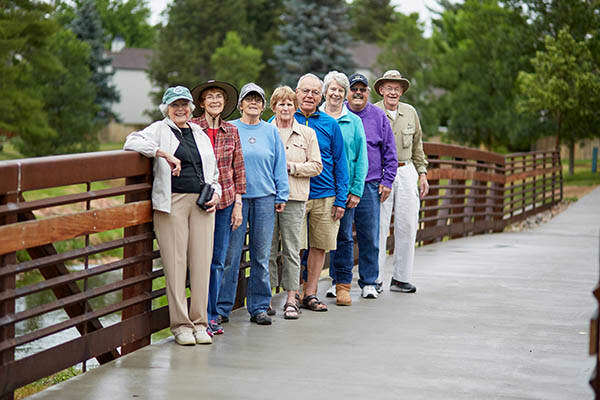 As a faith-based not-for-profit, few retirement communities can match Christian Living Communities’ reputation for quality and service, or longevity in the market. Staff – Holly Creek is committed to improving workplace satisfaction, as happier employees provide better service, go the extra mile and work to exceed your expectations. Before we hire new employees, candidates participate in rigorous interviews, cultural and endurance assessments, drug screening and background checks to ensure they meet our expectations, and that their values and work ethic align with ours. Upon employment, our nursing teams participate in a yearlong mentoring program to enhance their customer service and clinical skills. We ensure all employees receive the tools and comprehensive training they need to be successful. And we purposely keep staff-to-resident ratios small to provide you with the personalized attention you deserve. Interested in joining our team? Click here to learn more about career opportunities with us.